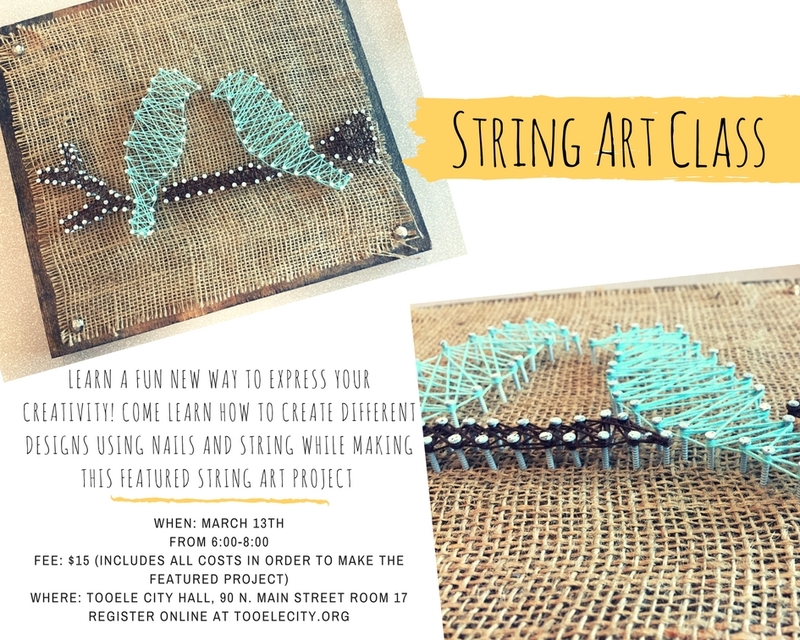 Join the Tooele City Arts Council for the “String Art Class”. For only $15 you will learn a new way to express your creativity! Come learn how to create different designs using nails and string while make this featured String Art Project.